Throughout the UK, a large body of men and women give up their time and risk their lives for the safety of people at sea. The RNLI and 70 other independent lifeboats provide an essential service which is not supported by government funding and is solely reliant on charitable donations. Icom radios are very popular among these important voluntary emergency services. 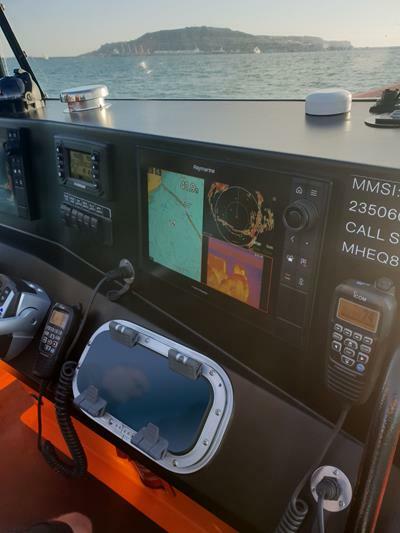 Ian Lockyer, Marketing Manager of Icom UK, went to visit one of these independent lifeboats on the Isle of Wight, Ryde Inshore Rescue, who had just taken ownership of a new boat. He went to ask them about the pressures they face, the work that they do and why radio is so important. Ryde Inshore Rescue was formed 63 years ago, primarily as a beach lifeguard service. It has dramatically developed over the years. In 1985, after the original lifeboat station burnt down, Ryde Rescue moved further down the beach where it was given land to build a new station. After much fundraising, the facility was built and developed over time into a two-storey building, training centre and two boat service. Ryde Inshore rescue provides safety coverage from Osbourne Bay to St Helen's and out towards the mid-channel. They currently have 26 volunteers, 18 are operational boat crew and the remainder are committee members, shore crew and fundraisers. Boat crew are on standby 24 hours a day, 365 days a year. Ady Farrell, Coxswain for Ryde Inshore Rescue, said, ’The service is busiest in Summer month. The Isle of Wight is very holiday based and the Solent is one of the busiest stretches of water around. From Easter to September the population almost doubles on the Island and obviously where we are, on a couple of miles of sandy beach, you usually get a lot of families. Ady said, ‘we were also very fortunate to have a smaller inshore craft 4-meter RIB capable of Beach Rescue. One of the areas we must cover is Ryde Pier which is one of the oldest and longest piers in the country. With the smaller boat that can get under the pier and rescue.